The subway is a marvel of engineering, and so is the modern subway map. For the first 25 years of its existence, London Underground riders relied on a map that reflected the actual distance between stations, as well as rivers, parks, and other aboveground phenomena. As designer Michael Bierut observes in the video at the top, the radically revised approach it finally adopted in 1933 proved so intuitive and easy to use, it remains the universal template for modern subway maps. 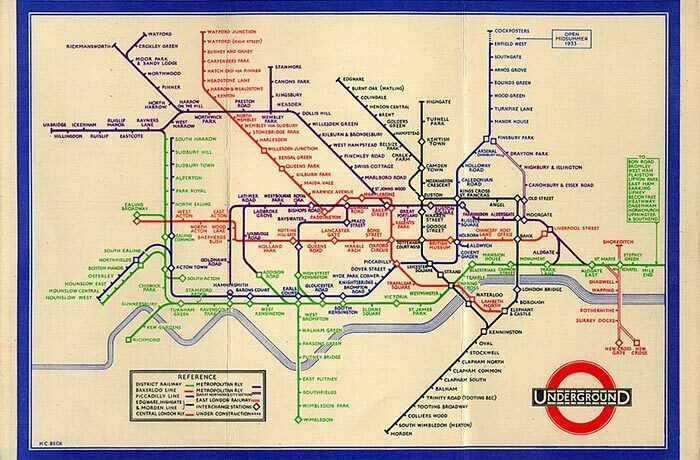 The brainchild of Harry Beck, a young draftsman in the London Underground Signals Office, the new map is more accurately a diagram that prioritized riders’ needs. He did away with all aboveground references save the Thames, and replotted the stations at equidistant points along color-coded straight lines. This innovation—for which he was paid about $8—helped riders to glean at a glance where to make the subterranean connections that would allow them to travel from point A to point B.
It’s not Beck’s fault if service falls short of his map’s efficient ideal, particularly on nights and weekends, when track work and service advisories abound, rendering such commutes a nightmare. 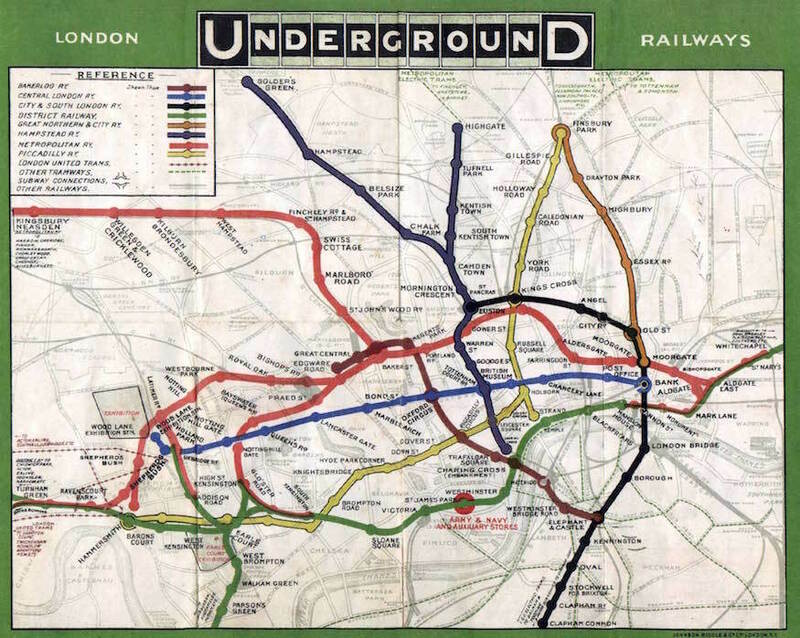 The appeal of subway map-themed souvenirs is also a testament to the visual appeal of Beck’s original design, especially given that such purchases are not limited to tourists.